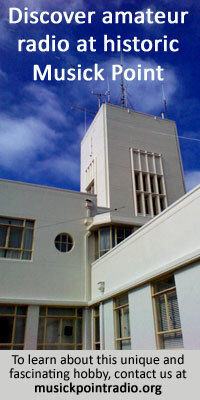 The “experimental” wireless station in Wellington went on the air on 26 July 1911 at the General Post Office, and the following month construction of the permanent station the Tinakori Hills (or Mt Etako) began. Establishing New Zealand’s wireless telegraphy system: building the operating and instrument rooms for the Wellington station on the top of the Tinakori Hills. Auckland Weekly News, 16 Nov 1911. “Nearing completion: erecting the buildings for the Dominion’s chief wireless telegraphy station on the top of the Tinakori Hills, Wellington.” Auckland Weekly News, 4 Apr 1912. 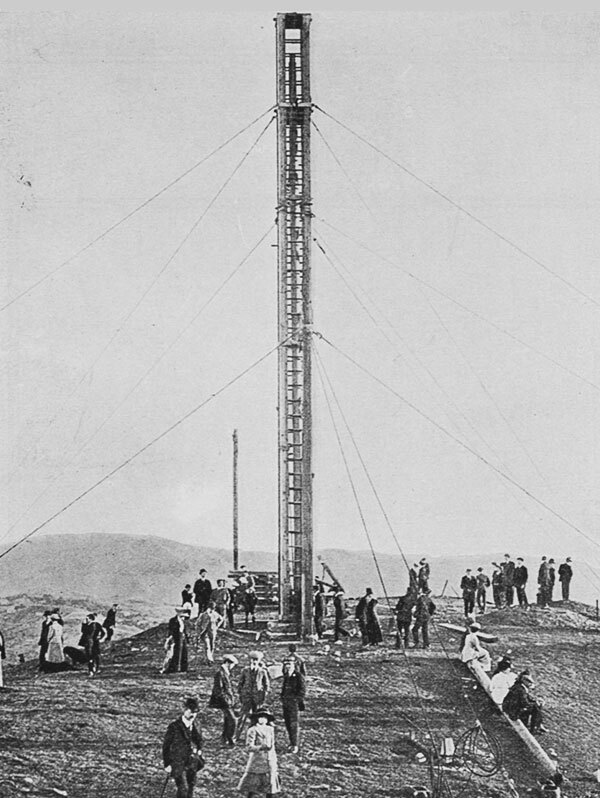 “New Zealand’s principal wireless station: erecting the mast at the new station on the Tinakori Hills Wellington.” Auckland Weekly News, 13 Jun 1912. 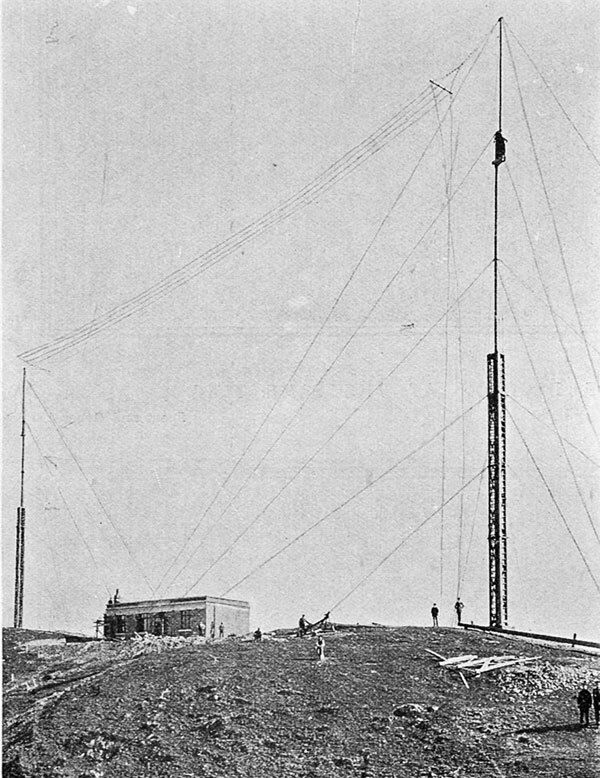 “Within measurable distance of completion: the wireless station on Tinakori Hills, Wellington, showing the aerials in position.” Auckland Weekly News, 22 Aug 1912.